At EMDI in addition to the ability to import data from sales, customers,inventory we can also import data through the settings. 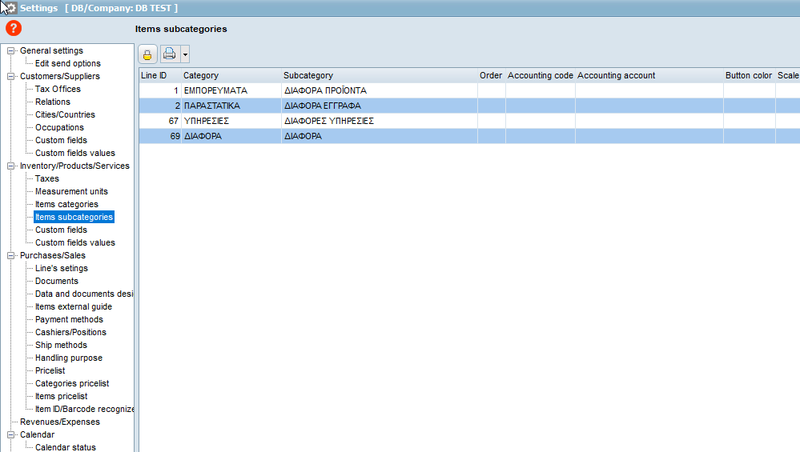 First we open the settings and we choose the field which we want to import or export data. In the example above I use the sub-category items field to import some categories in this field. From there on, we follow the steps as when importing data into sales markets or clientele. We search the data file I want to import, match the columns with the field I want to import and I enter data input.